Williamsburg’s only AAA 4 Diamond Condominium Resort; Not your “Typical” Hotel When it comes to Kingsmill, we’re not just another resort: we’re like another world. With our unparalleled range of accommodations, stunning setting along the historic James River, and boundless range of onsite recreational activities and leisure pursuits, Kingsmill is relaxing, fun, and memorable riverside escape. 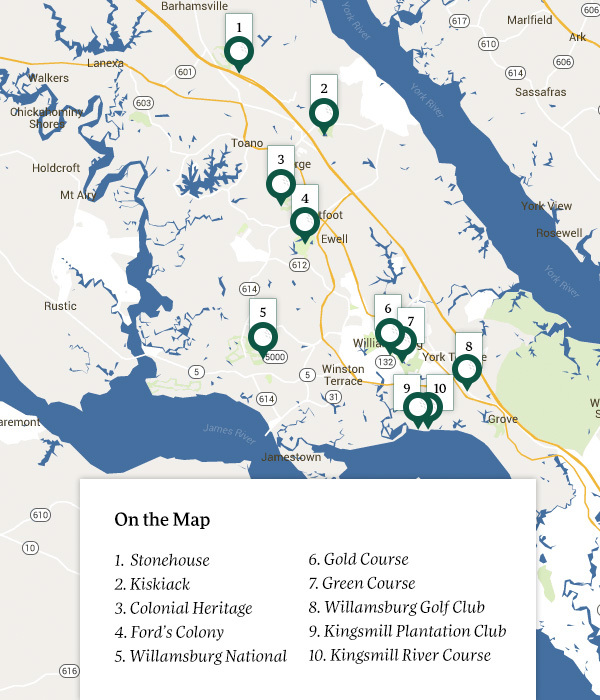 Arrange a golf outing on our prestigious courses, or combine your stay with golf at some of the 12 total golf courses within close proximity to Kingsmill Resort (see map). While you’ll want to test your skills on the River Course, home to the LPGA Kingsmill Championship, you shouldn’t miss the acclaimed Plantation Course, featuring historic landmarks from Kingsmill’s 1736 plantation. 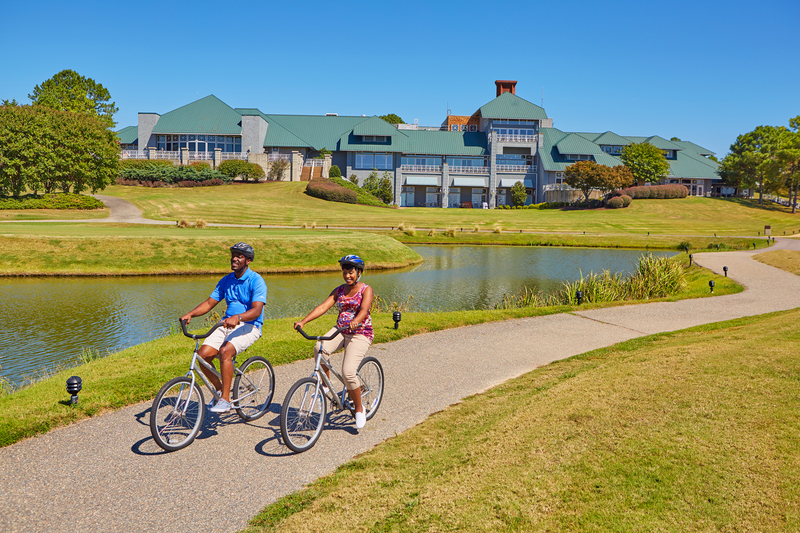 Don’t compete with our Stay and Play Packages: Kingsmill offers competitive Golf packages that are based on rate of the day. 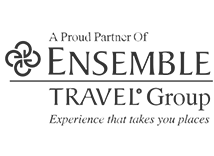 For best conversion of golf packages, consider taking advantage of the plethora of local golf courses to create custom packages providing your guests with the variety of play options they desire. Let me know how I can assist with connecting you with my local golf partners for special rates. 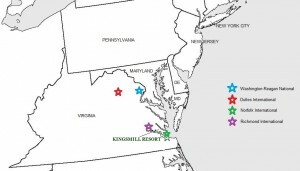 Just 2.5 hours from Washington DC and Dulles international airport Kingsmill Resort is conveniently located within an easy drive from any point in Virginia, Kingsmill offers quick access from Richmond, Norfolk or Newport News airports. Once you arrive on the resort, you’re immersed in a tranquil, safe environment. Complimentary shuttle service within the resort and to select Williamsburg locations will make your local travel relaxing and inexpensive. 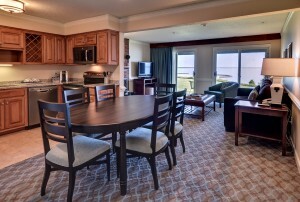 Kingsmill’s five restaurants and in-room dining present outstanding variety. Our newest venue, Elements 1010 offers a lively lobby bar and delectable dishes. Eagles provides guests with a dining room experience or casual fare with views of the golf course. 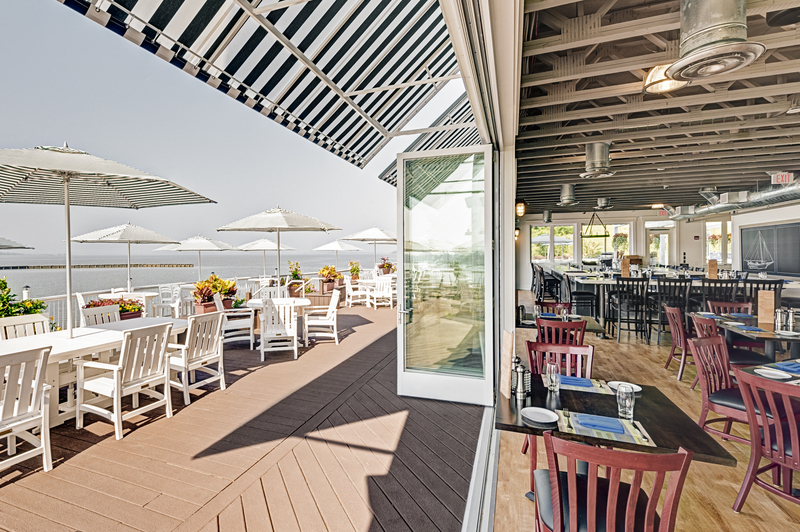 James Landing Grille—the only riverfront eatery in Williamsburg, pictured here—continues to offer stunning sunset views and fresh, locally sourced seafood. 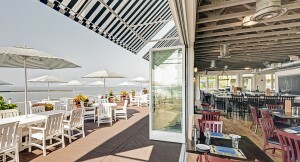 Currents (new, open seasonally at the River Pool) brings the fun outdoors with laid-back poolside food and drinks. We have activities to suit whatever type of getaway you want! Guests at our Spa will feel tensions slip away as they indulge in pampering services in our advanced treatment rooms and continue to unwind in the spa’s modern, serene quiet rooms overlooking the river. The new fitness room delivers another stress reliever and allows guests to maintain their exercise regimen. Other recreational pursuits include an indoor pool, River Pool complex (seasonal), Segway tours, biking, tennis and water sports at the marina (seasonal). 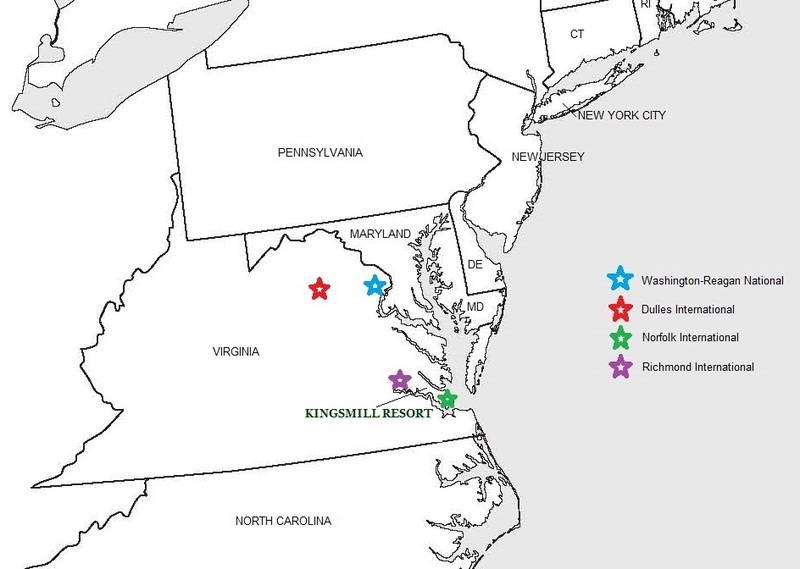 When planning your escape to Kingsmill Resort, experience the history, beauty and excitement the tidewater area has to offer. Step back in time and relive the days of Colonial Virginia, feel the rush of adrenaline on roller coasters and explore a variety of shopping options. 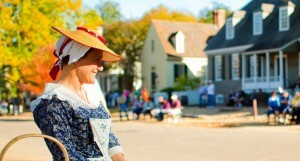 Enjoy diverse entertainment from amusement parks to living American history that lays out before your very eyes. Guests visiting Kingsmill can enjoy complimentary shuttle service to Busch Gardens, Water Country USA and Colonial Williamsburg. Comfortable accommodations and warm hospitality make every stay better so Kingsmill welcomes you with freshly refurbished villa-style guest rooms and one-, two- and three-bedroom condos. We also offer luxurious private vacation home accommodations—The Cottages on the James—three- and four-bedroom private cottages along the river. In addition to the cottages, The Pettus House creates an unforgettable experience with the seclusion of a private estate and superlative personal services. Our successful FIT partners have found that their guests love the value of our Three Bedroom Condominium accommodations. Enjoy extra living space and full kitchens with the ability to have quad occupancy condo style accommodations! This is also a great strategy to increase your margins. Everything comes together harmoniously to continue Kingsmill’s tradition of excellence and to deliver more value—including resort-wide complimentary Wi-fi, free parking and no additional resort fee!